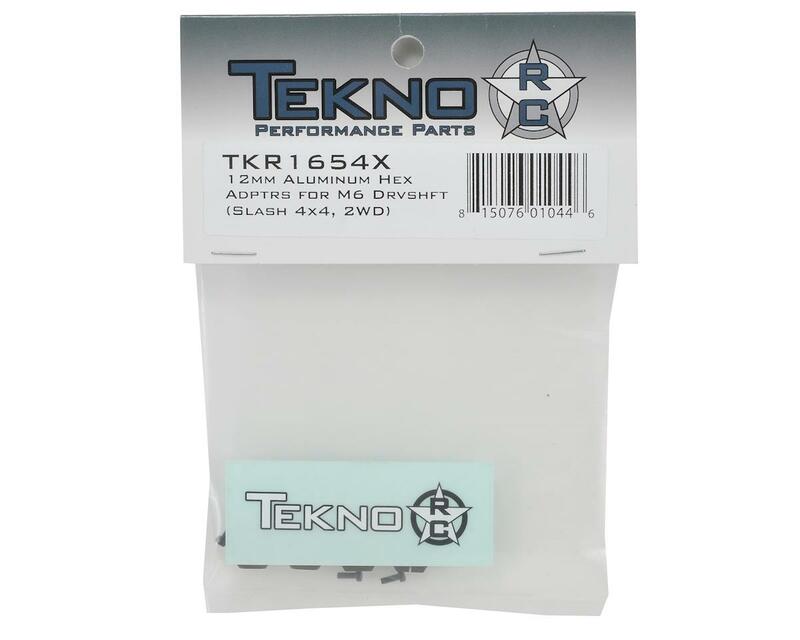 This is an optional Tekno RC 12mm Aluminum M6 Driveshaft Hex Adapter Set. 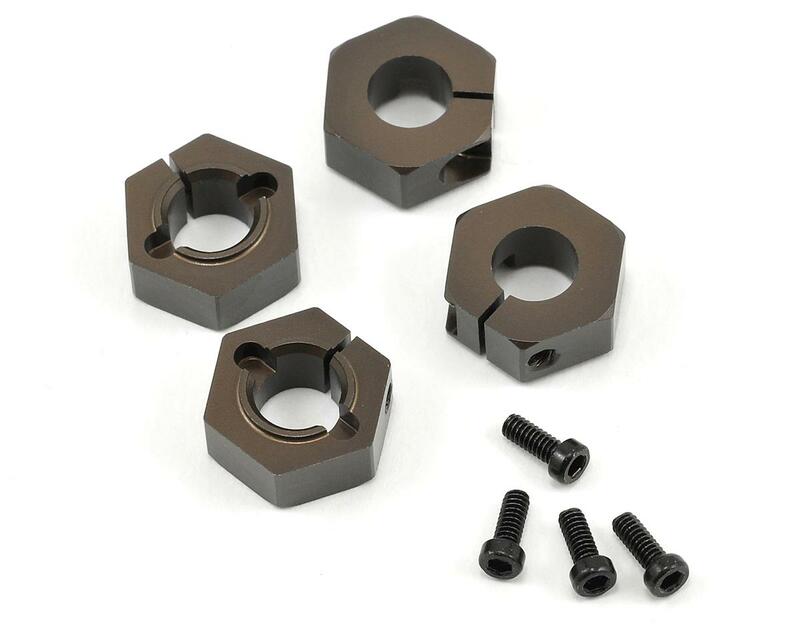 These aluminum 12mm hex adapters are intended for use with the Tekno RC M6 6mm Driveshaft kits. They fit all 12mm hex SC wheels. They have a 6mm inner bore to fit the M6 Stub Axles and may be used on other 6mm axle applications where applicable. This part is a must , if you have any model of M6 Driveshaft from Tekno. They seem to have listen to their customers, because the new upgraded part that I have received now comes standard with drive pins and those precious 6x10x0.2mm shims to remove play between your bearing and the HEX adapter.. I Think Amain should upgrade their picture for this part. Tough as nails, fit the hub and the wheels like a glove. Basically it is typical Tekno quality! Bought these for my Tekno SCT410 and they fit great. They were out of stock of the actual ones for the SCT410, so I tried these out. Couldn't be happier, cool color and the clamping is a nice feature. For racing you need the best, and these definitely are. Upgraded 410.3, the stock adapters were unsatisfactory. Did not seem to positivel engage the the wheel hex. They seemed to come off with the wheel about no matter what. So far after many assemblies/dissasemblies I've not had any problems with these. It's a learning curve about what's tight enough vs. them pulling off with the wheel vs. apparently stripping them as others have written. I can say at least in my case, I do not feel the need to tighten them to the point where I risk stripping. Good upgrade, if you like the stockers stick with them if you don't get these.